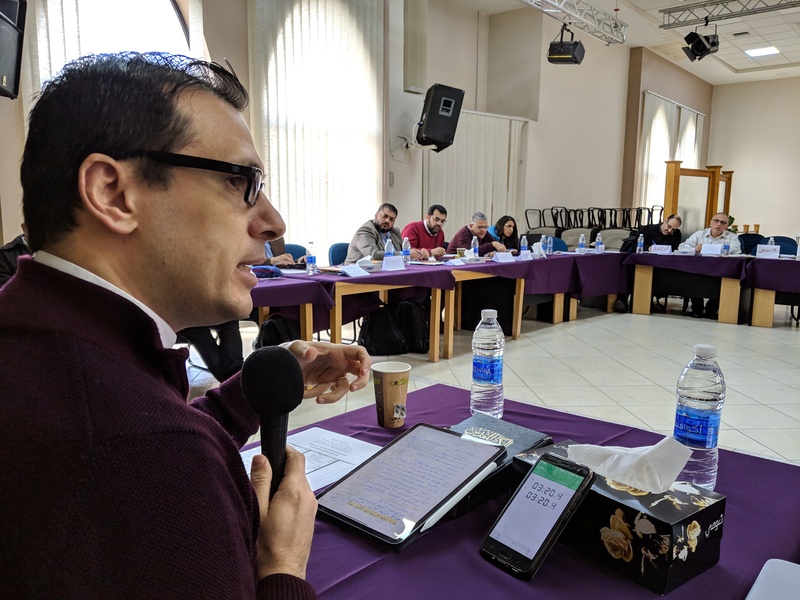 A delegation representing Bethlehem Bible College participated in the Theological Forum for Evangelical Thought in the Arab World, which was held in Amman by the Middle East and North Africa Association for Theological Education (MENATE). The delegation was headed by Rev. Dr. Jack Sara, president of the College, Rev. Dr. Munther Isaac, the academic dean, Bahjat Khader, coordinator of the E-learning program, and Daniel Bannoura, a lecturer at the College. Rev. Jack Sara shared about the College, its activities, and its role in the lives of youth and activities carried out by the College. Rev. 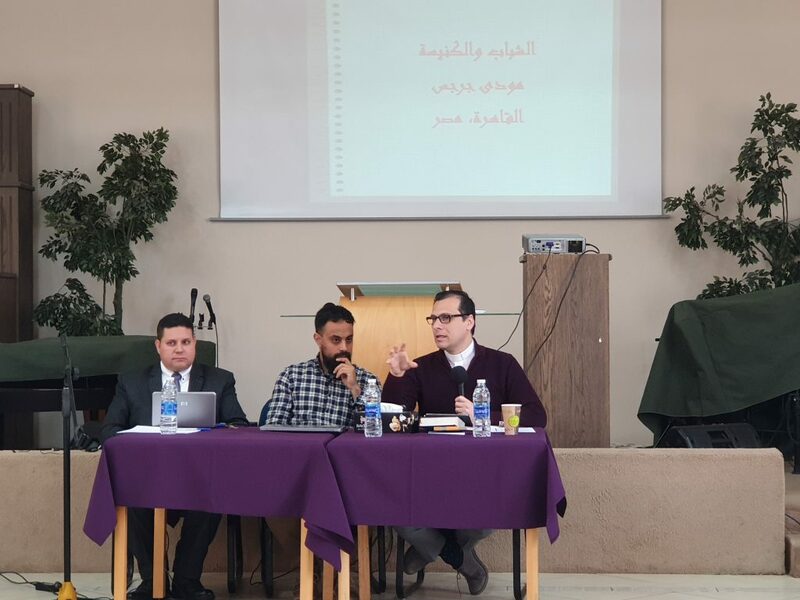 Munther gave a lecture in which he talked about the reasons behind the youth’s rejection of the Church, the challenges facing the youth, and the extent of their participation in the Church. Professor Daniel facilitated a lecture led by Rev. Munther and another pastor from Egypt, where they discussed the role of youth toward the Church and the role of the Church towards the youth. 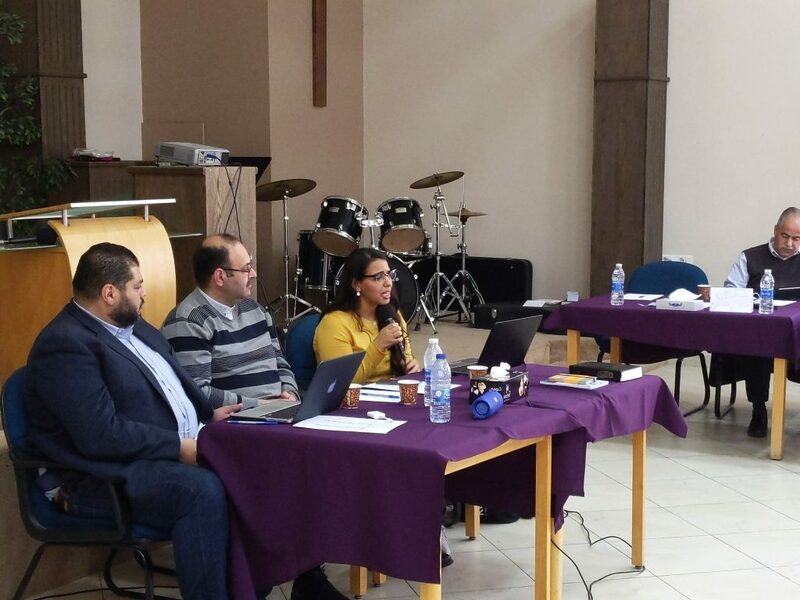 The forum ended with the need to find ways to face the challenge of young people leaving the Church, and our role in equipping young people to face challenges such as atheism and other.